The Travis Roy Foundation (TRF) today announced JetBlue as the Venue Sponsor of the TRF’s Little Fenway WIFFLE Ball field complex in Essex, Vermont. Little Fenway is a complex of three idyllic WIFFLE Ball fields – including Little Wrigley and Little Field of Dreams – nestled in the Lake Champlain Valley in Northwest Vermont. Little Fenway will also be home to the 17th Annual Travis Roy Foundation WIFFLE Ball Tournament on August 10th, 11th and 12th. “Our annual WIFFLE Ball Tournament at Little Fenway is the biggest in the country raising more $500,000 last year to benefit the survivors of chronic spinal cord injuries,” said Travis Roy, founder of the Foundation. “Over the last several years, JetBlue has been an amazingly supportive partner of the Foundation, committing financial support and WIFFLE ball players to the event. They are my favorite airline and I am so excited to continue our partnership with them,” continued Roy. Giving back is part of JetBlue’s DNA and is core to its mission of inspiring humanity. Centered around volunteerism and service, JetBlue For Good focuses on the areas that are most important to the airline’s customers and crewmembers – community, youth/education and the environment. Combining JetBlue’s corporate efforts with its customers’ and crewmembers’ passions, the common theme is Good – JetBlue For Good. Join the #JetBlueForGood conversation on Twitter, Instagram and Facebook, check for regular updates and get involved. The Little Fenway fields were built by local resident Pat O’Connor on his 11-acre property in Essex, Vermont over the course of a dozen years from 2000 to 2012. The property was purchased in 2016 by the Travis Roy Foundation. The 17th Annual Travis Roy Foundation WIFFLE Ball Tournament is comprised of 32 teams of 10 players each raising money to benefit spinal cord injury survivors now or in the future. 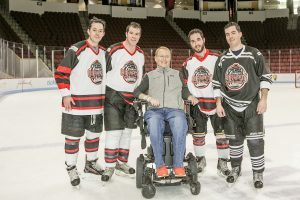 The Travis Roy Foundation (TRF) was established in 1997 as a nonprofit dedicated to improving the lives of spinal cord injury survivors and their caregivers. Travis Roy launched his namesake foundation two years after surviving a catastrophic injury in his first and only hockey game playing for Boston University. Since that time, the Boston-based TRF has awarded more than 1,400 Quality of Life grants to individuals across the United States who have experienced a spinal cord injury, helping them lead more independent lives. Simultaneously, the TRF’s research grants fund scientists working tirelessly to find a breakthrough in the world of spinal cord injuries. 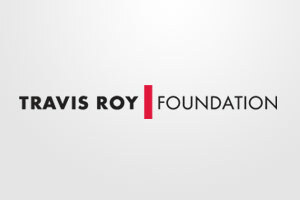 Funding for the Travis Roy Foundation’s philanthropic efforts comes from individuals, corporations and foundations across North America. Visit www.travisroyfoundation.org/about to discover how to request a grant, to donate, or learn more about our effort.